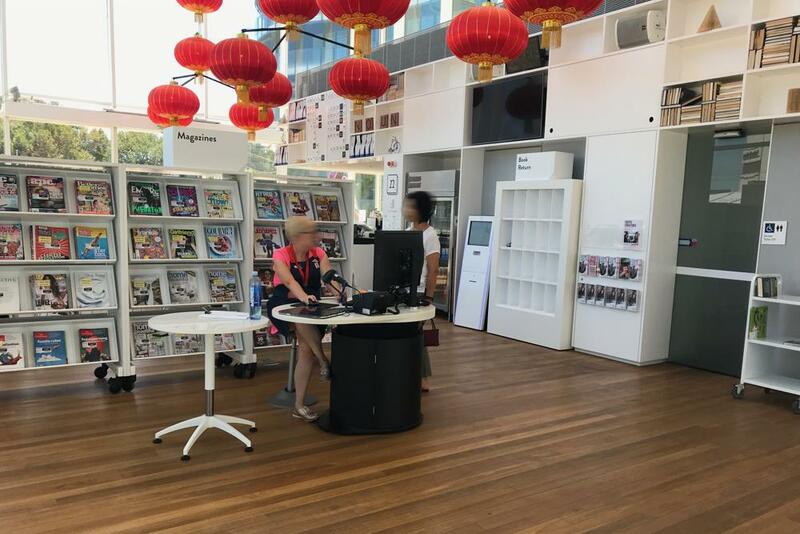 Instinct Furniture Australia is thrilled to have recently worked with two Sydney Councils’ on counter installations across a number of library sites. The new Green Square Library, City of Sydney. 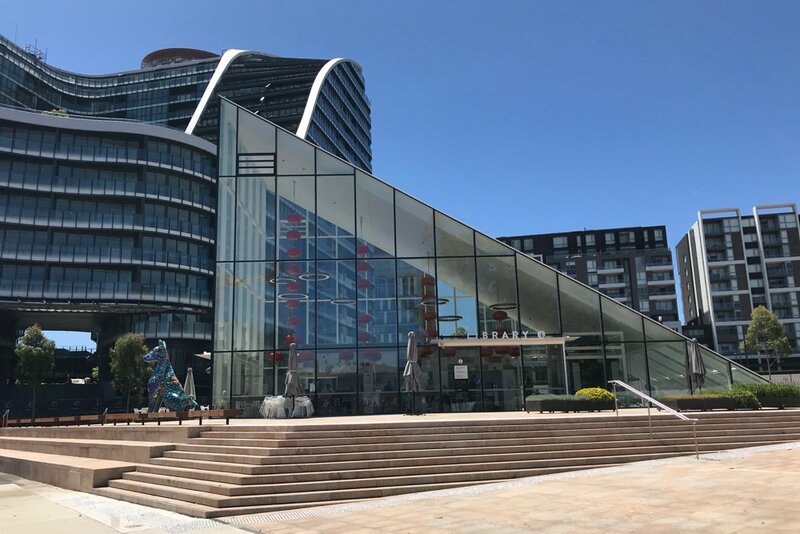 City of Sydney’s new Green Square Library is a beautifully designed, modern and innovative underground library. 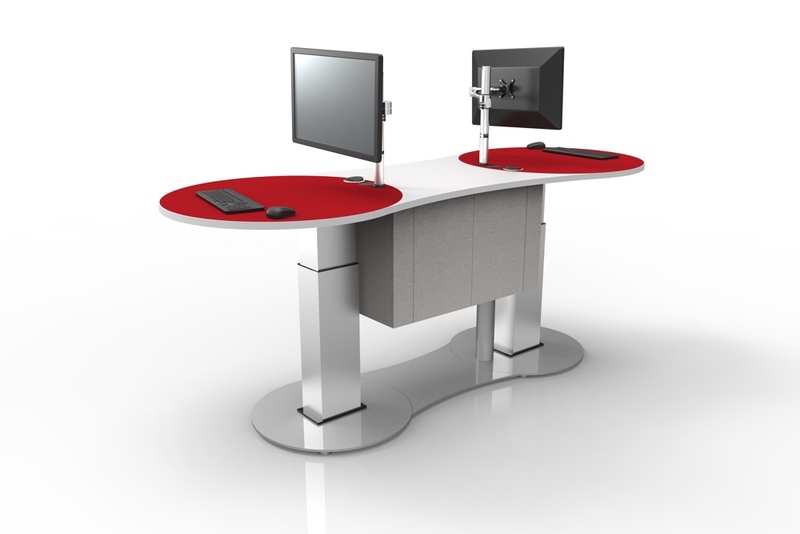 Instinct Furniture had previously worked with City of Sydney, providing counter solutions for a number of their branches. 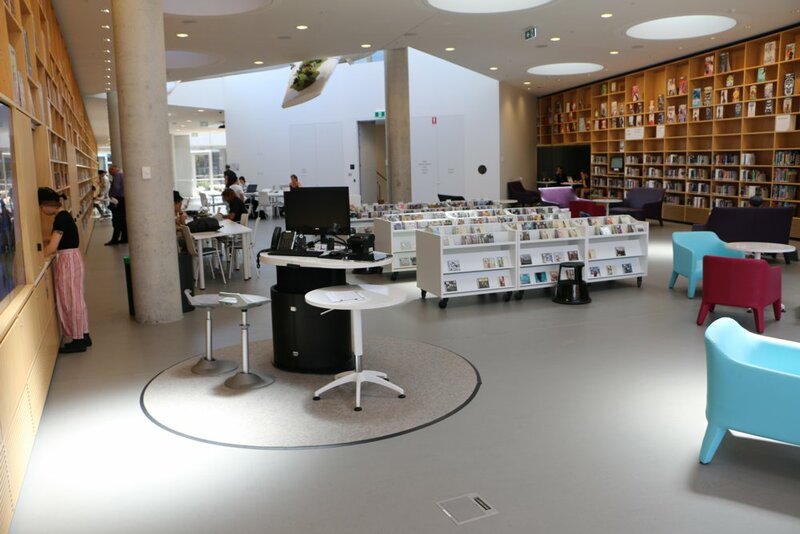 Already familiar with our range, City of Sydney chose YAKETY YAK 1200’s for their Green Square Library. 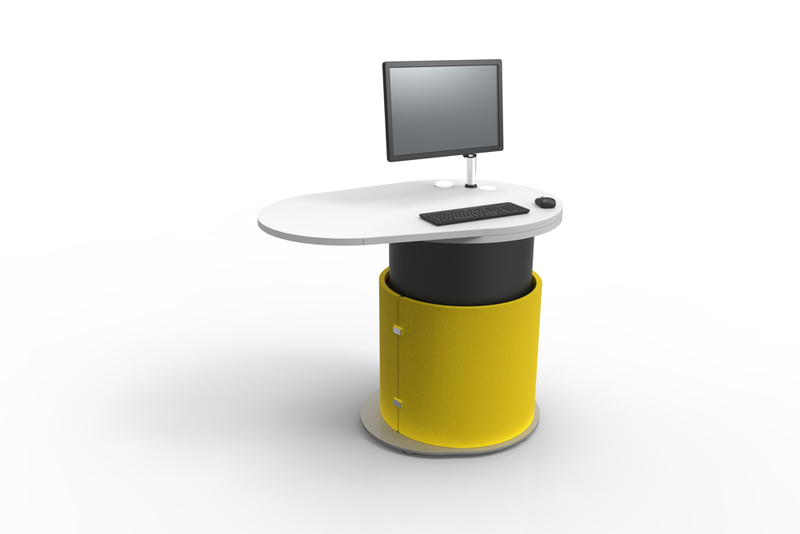 YAKETY YAK 1200 is a new generation, sit-to-stand help / roaming pod, featuring a friendly tapered worktop. YAKETY YAK’s design is sleek and modern with a central barrel that positions over floor services to neatly absorb all cabling. YAKETY YAK 1200 positioned near the the entry at Green Square Library. 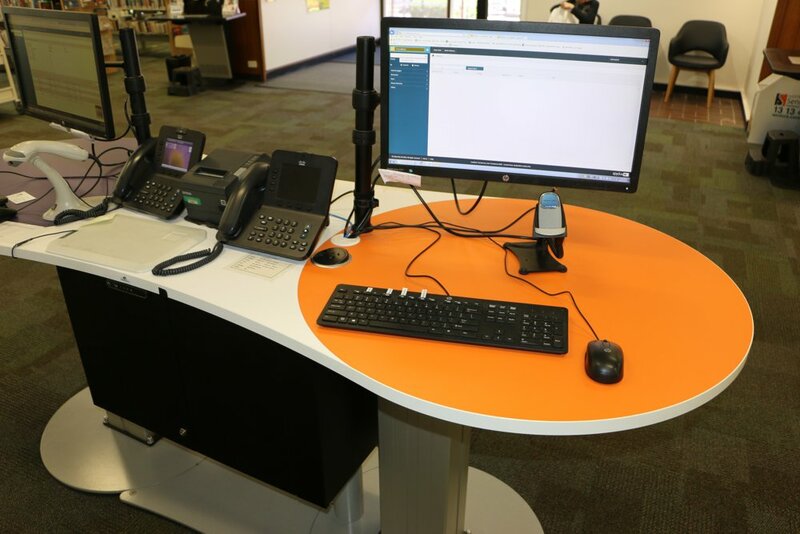 YAKETY YAK 1200 positioned within the library to provide friendly, on the spot assistance to customers at Green Square Library. Ku-ring-gai Council oversees four community libraries. 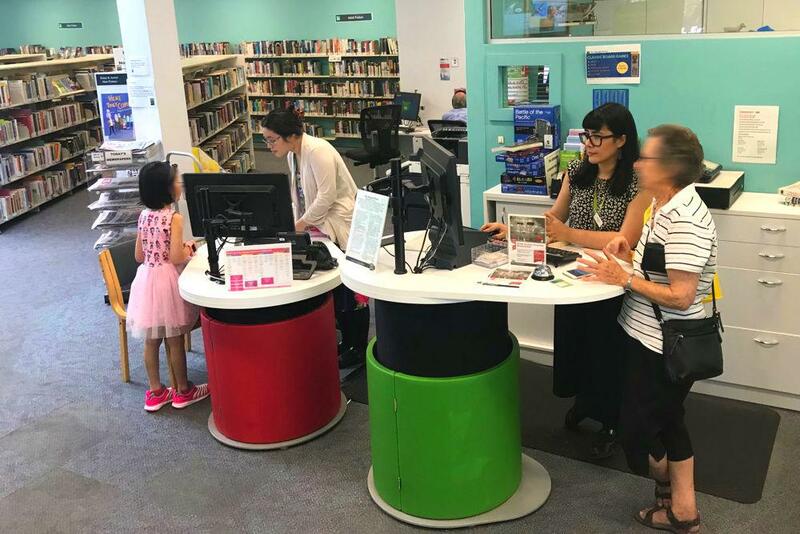 At their St Ives library, YAKETY YAK 1200 was also chosen to provide a streamlined solution for customer help. Two YAKETY YAKS, are positioned side by side near the entry where staff and customers can choose to sit or stand. YAKETY YAK 1200’s height adjusted to give people a choice to sit or stand, at St Ives Library. 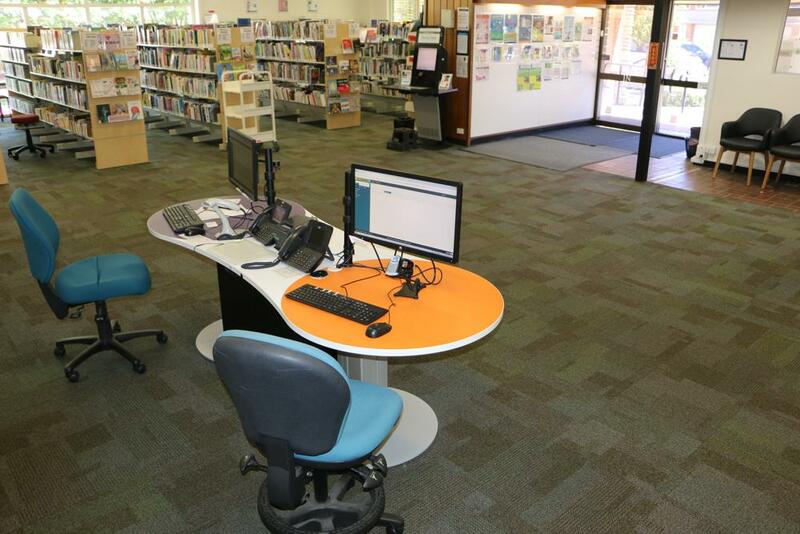 At Turramurra Library, YAKETY YAK 2400 was deployed near the entrance, becoming the library’s main welcome / help point. YAKETY YAK 2400 supports two staff members, providing inviting cantilevered meeting ends to share information and interact with customers. YAKETY YAK 2400 at Turramurra Library. YAKETY YAK 2400 invites attention with meeting ovals in different colours. Throughout Australasia, the YAKETY YAK family has become a popular choice for today’s community focused and service orientated libraries.